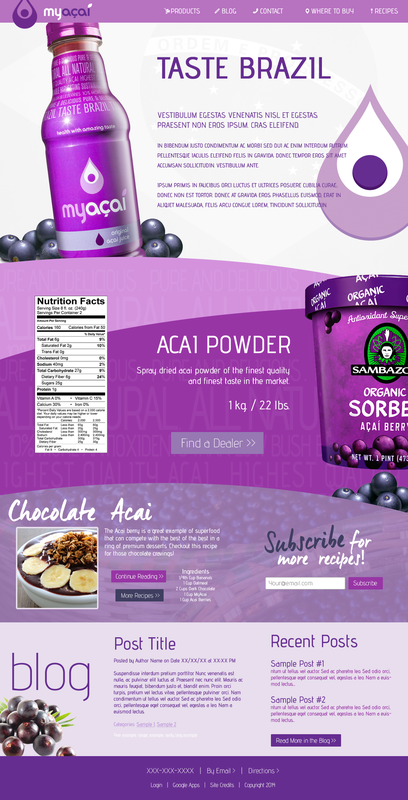 My Acai was a startup breaking into the Acai drink market here in the US. Beside the fact their drink is amazing, they were ambitious to have a website that really showcased their product in a way that caused you to crave drink. They also wanted to share a little bit about the diversity of the Acai berry and other potential products it could be included in.